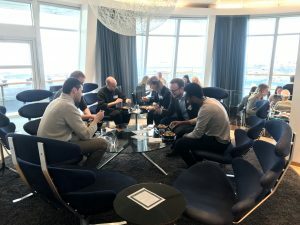 Last week the event Lunch with a Pro Helsingborg took place. A networking lunch where students and alumni from the same area of studies got the opportunity to have lunch together while networking, asking questions and inspire each other. 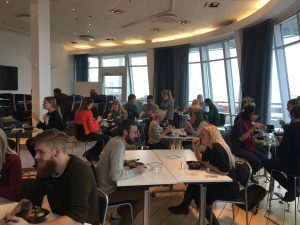 This was the second year of Lunch with a Pro Helsingborg and it was as successful as last year, a lot of new connections were made and I’m sure that both the students and pro’s learned a lot from each other. 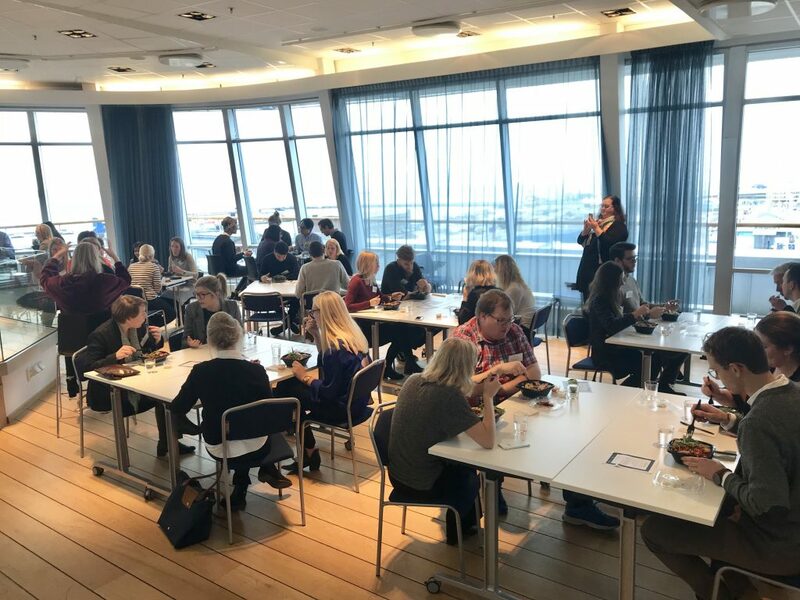 Among the students at the lunch was Johanna Carlsson who studies Strategic communication at Campus Helsingborg. 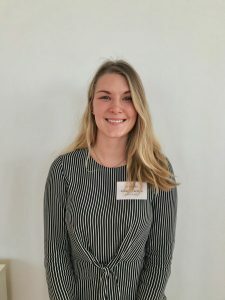 Johanna also participated in the event last year, when she had just started her first year of studies, and she went to the event with hopes of a nice lunch where she would hopefully learn something new. Little did she know that the event would actually give her much more than that. During the lunch Johanna sat next to the pro Johanna Peterson, a strategic communication alumna who works at Contentor Marketing. A few days later Johanna (student) got an e-mail from Johanna (pro) asking if she wanted to come to her workplace and try out the work for a day. One thing led to another and today Johanna has been working extra for Content Marketing for one year. She’s not only gained a lot of experience regarding her field of studies but also learnt a lot about being in a professional context. Be prepared. Look up who you want to talk to in advance, learn about the person or company and prepare some questions you want to ask them. Take initiative! Everyone is there for the same reason – to network. Don’t be afraid to make the first move and take contact with someone.